DAVID LE/Staff photo. 2/26/15. 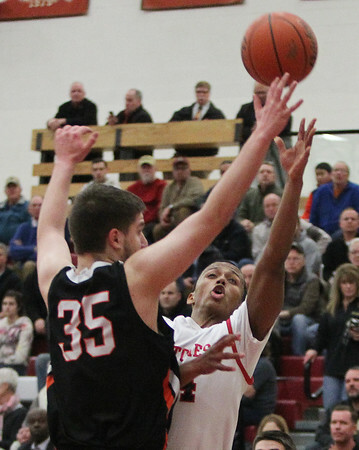 Salem junior guard Kelven Perpetuo, right, flips up a shot around Woburn senior Jimmy McRae (35).